BRIGHT-EYED and bushy-tailed employees climbing the corporate ladder often have this mistaken notion that performing tasks well is all it takes to get to the next rung. But the reality is that technical competency does not make you the best candidate to get promoted and manage a team. More is demanded from business leaders today, making the hunt to fill top jobs even more difficult. A 2016 LinkedIn study on leadership challenges revealed that organisations in South-east Asia, including Singapore, are struggling to find the managerial talent they need to run and grow their business. More significantly, 79 per cent of HR decision makers in the region report difficulty in hiring local leaders, while 42 per cent of them have less than half their leadership positions filled with local talent. The Business Times takes a look at what has gone wrong in our leadership talent pipeline and what aspiring leaders can do to make themselves eligible. So why is it so tough to fill top jobs? The LinkedIn study found two main factors for this phenomenon: firstly, applicants lack soft skills including key leadership competencies. Secondly, there is a lack of leadership development focus within the organisation. Other interpersonal skills under that umbrella include helping your employees acquire skills to deal with challenging situations, moving them along, and helping them shape a career path; all of which are often neglected by aspiring leaders. Now, if your company is having problems hiring leaders, it would make sense to solve the problem at the root by grooming potentials from within. 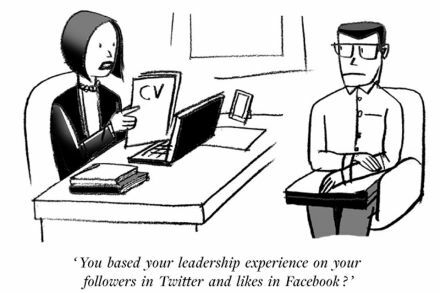 But sadly, as the LinkedIn survey shows, this is not the case. “While many companies may say talent development is their top priority, the reality is that with the pressure to deliver topline growth and expansion plans, ‘short-termism’ can get in the way of pro-actively planning for leadership succession,” says Olivier Legrand, managing director, Asia-Pacific and Japan, LinkedIn. In other words, companies are too busy fighting fire on a regular basis instead of nurturing potential candidates for future roles. In a separate 2016 LinkedIn study on key skills aspiring CXOs (C-suite level executives) need to have, it was found that more than half have had international experience, be it for work or education. In general, however, one key trait that experts agree on is the need for young executives to take calculated risks and venture to stand out from the pack. Instead of waiting to be groomed or identified as having leadership potential, professionals need to take charge of their own career trajectory in order to rise up the ranks. This means being proactive in voicing your career aspirations to your superiors and putting in place plans to work towards it. This is especially vital for those in companies without the culture of providing feedback or appraisals. If you are aiming to reach the top, don’t just go with the flow – you could miss out when a promotion opportunity comes along.